Public Safety Minister Ralph Goodale is brushing off recent threats from China's envoy to Canada, who warned of "repercussions" if the federal government bans the Chinese firm Huawei Technologies from supplying equipment to Canadian 5G networks. 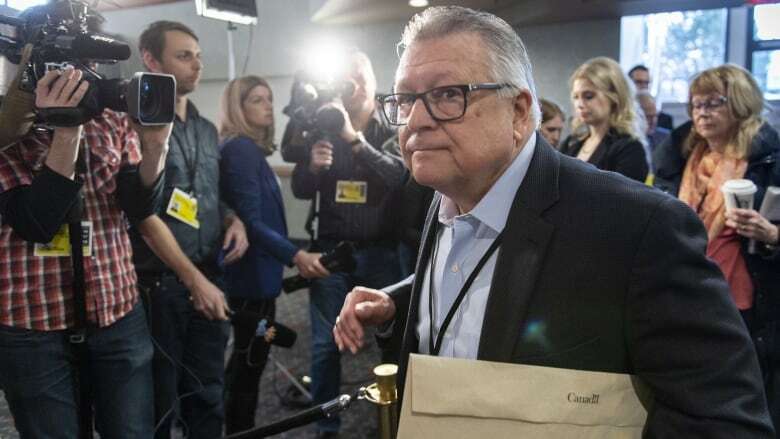 Goodale spoke to reporters Friday during the Liberal cabinet retreat in Sherbrooke, Que., a day after Ambassador Lu Shaye told the media at the Chinese Embassy in Ottawa that "there will be repercussions" if Canada bans Huawei from its 5G network. Lu did not say what those repercussions would be. Prime Minister Justin Trudeau followed up on Goodale's remarks during the closing press conference of the retreat, saying that China should keep its politics separate from business. "One of the things that is of concern in this situation is the apparent blending of Chinese commercial interests with Chinese political positioning and consequences," Trudeau said. "This is something that I think should be of concern, not just to Canadians but to people around the world." Ottawa is studying the security implications of allowing the Chinese company to help develop the next generation of mobile infrastructure in Canada, which promises to be 10 to 20 times faster than current wireless connections and is designed to serve medical devices, self-driving cars and other connected technology. Unlike some of its allies, however, Canada has not announced a ban on Huawei equipment. Goodale said Friday that China also threatened Australia when it reviewed Huawei's role in its telecommunications network. "We understand that those sorts of comments will be made in the process, but we will make our judgment based on what's right for Canada and not be deterred from making the right decision," he told reporters. Goodale wouldn't say when Canada is expected to finish its 5G review. "We will make the appropriate analysis and take the decision ultimately that we believe to be in Canada's national interests," he said. "We've made it abundantly clear that we will not compromise national security." Trudeau said Canada would continue to follow the rule of law and that China and the rest of the world would be better off if Beijing did the same. "We are reliant in this globalized and largely peaceful world on agreed-to rules and principles that must be respected if we are all to prosper together. That is the point we are respectfully and firmly making to China," Trudeau said. Huawei has long insisted it is not a state-controlled company and denies engaging in intelligence work for the Chinese government. However, Chinese law dictates that companies must "support, co-operate with and collaborate in national intelligence work." Most of Canada's partners in the Five Eyes intelligence-sharing alliance have taken action against the telecommunications firm. New Zealand and Australia have banned the use of Huawei products in their 5G network development, fearing Huawei could use its access to spy for the Chinese government. The bills specifically cite ZTE and Huawei, both of which are viewed with suspicion in the United States because of fears that their switches and other gear could be used to spy on Americans. Huawei is the world's biggest telecommunications equipment maker. "Other countries have obviously made their views known, and their views are important to us. And we will weigh all of that very carefully and in the decision-making process," said Goodale. The back-and-forth between the ambassador and minister is the latest development in a deepening bilateral dispute. Relations between China and Canada were put on ice last month when Canadian authorities arrested Meng Wanzhou, chief financial officer of Huawei, in Vancouver on a U.S. extradition request. China then detained two Canadian citizens: businessman Michael Spavor and Michael Kovrig, a Canadian diplomat on leave to work for a non-governmental organization based in China. Lu maintains the arrests of Spavor and Kovrig were legal and just while the arrest of Meng was the opposite. Earlier this week, a Chinese court sentenced Canadian Robert Schellenberg to death for his alleged role in the smuggling of 222 kilograms of methamphetamines. His lawyer said he plans to appeal. In the wake of that ruling, Prime Minister Justin Trudeau accused Beijing of arbitrarily using the death penalty and called world leaders to solicit their support. Lu said the current impasse could be resolved through negotiations, but those negotiations would be threatened if Canada were to ban Huawei Technologies from participating in Canada's new 5G network for security reasons. Trudeau spoke today with United Nations Secretary-General António Guterres. The two "reaffirmed their commitment to supporting multilateralism and the rules-based international order," according to a PMO readout of the call. "Trudeau and the secretary-general discussed the arbitrary detention of two Canadians in China, the application of the death penalty to a third Canadian in China, and the importance of safeguarding international norms, including diplomatic immunity, judicial independence and respect for the rule of law," the readout said. The Conservatives have urged Trudeau to speak directly to Chinese Xi Jinping. 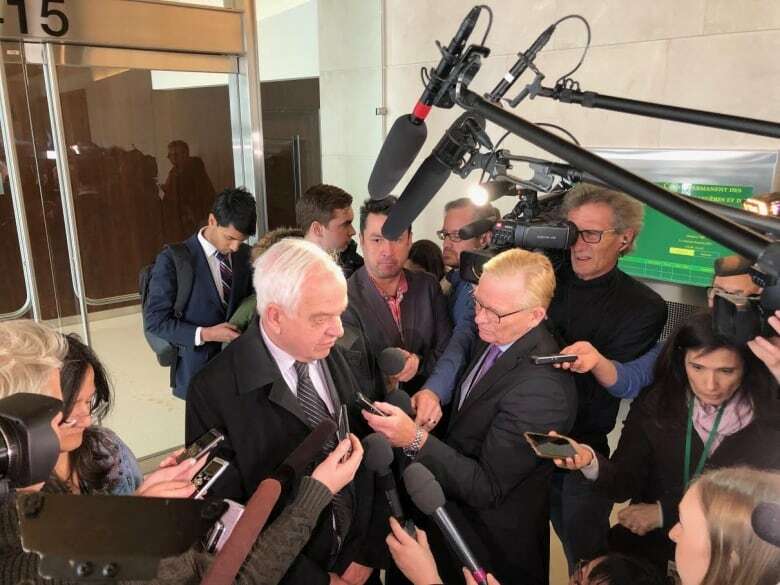 Canada's ambassador to Beijing, John McCallum, was in Ottawa Friday to brief a Parliament committee. He described a phone call to Xi as the "last arrow in our quiver." "I think it is more effective if other means are deployed before we get to that point," he said. The briefing was held behind closed doors. McCallum told reporters he expected to tell the committee some things that the families of Spavor and Kovrig might not want aired publicly. Despite the diplomatic tensions, McCallum said he believes it's safe for most Canadians to travel to China, but added anyone who has had a past run-in with Chinese authorities might want to stay away. He said his security detail suggested he remove the Canadian flags on his diplomatic car, but he called it a "crazy idea." "I drive proudly with the Canadian flag," he said. Both countries have issued travel warnings. 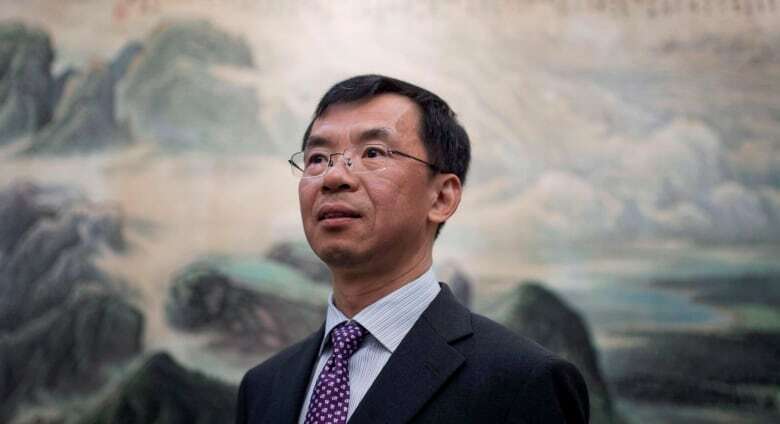 A day later, China issued its own advisory and urged its citizens to "fully evaluate risks" and exercise caution when travelling to Canada, citing the "arbitrary detention" of Meng.